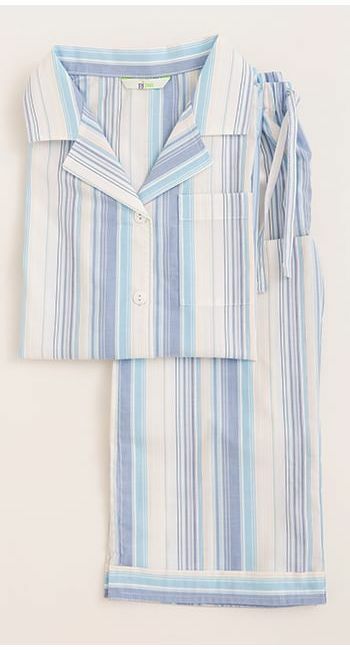 Elegant full length dressing gown in a fun blue, cream and turquoise stripe. 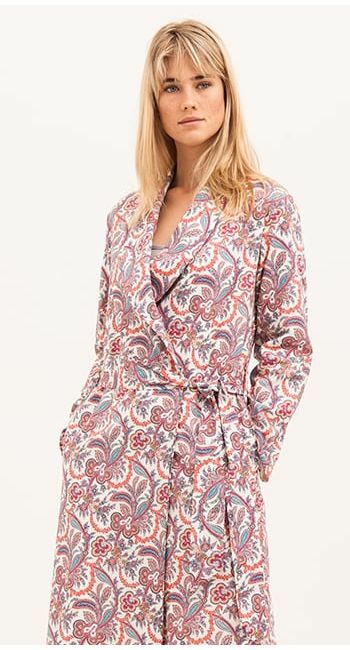 Fully lined and finished with a feminine shawl collar, a removable tie around the waist and two side pockets. 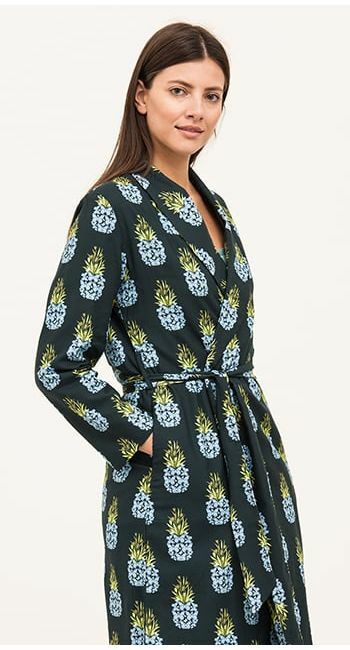 A perfect summer dressing gown or ideal for throwing in a case when travelling. 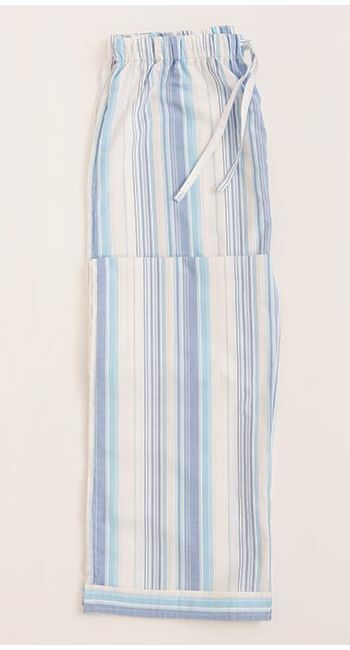 Matching pyjamas, pyjama bottoms and bed shorts available. This fabric is also available in our children's collection too. Fabric type: Lightweight woven cotton.